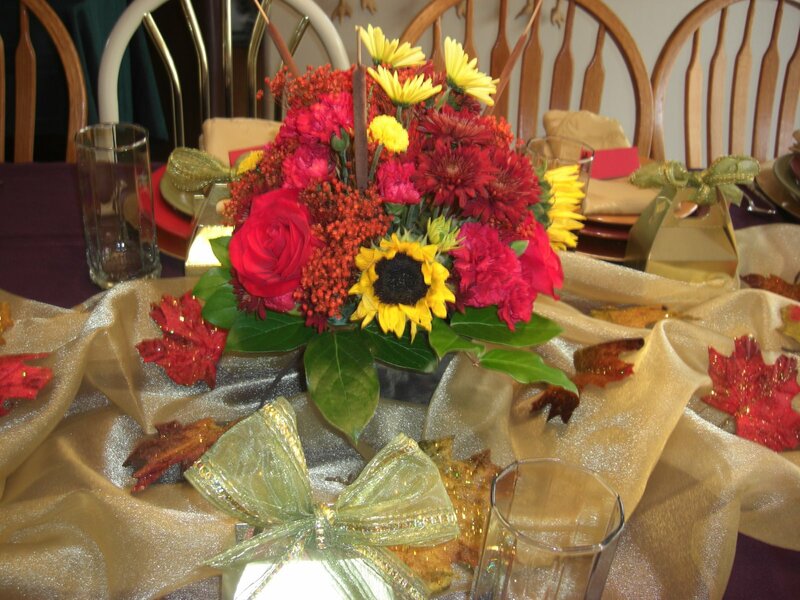 Are you looking for Thanksgiving centerpiece ideas? I love having a fresh floral arrangement on the table at Thanksgiving, but buying one from a place like this can cost anywhere between $50 and $120. Why spend that kind of money when you can make one yourself in less than 30 minutes for under $20? Costco has these great seasonal flower bouquets for sale at their stores for around $15. Every year I get 1 bouquet, and some Oasis from the craft store, and arrange it myself the day of Thanksgiving in a vase I already have. Add some water mixed with flower food and voila! I have a great seasonal centerpiece. It's super easy to do. Just stick the oasis in the vase, start snipping the stems of the flowers and sticking them in. 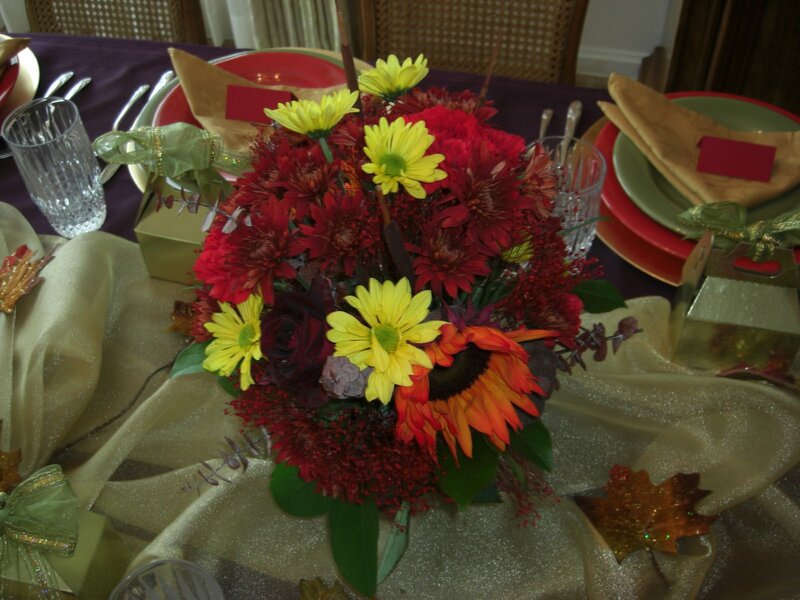 Start with the biggest flowers, or the ones that are a different color (in this case, the yellow sunflowers) and then start filling in with all of the smaller flowers and greenery. Add water that has been mixed with the flower food it comes with, and it will last a couple of days. What is Oasis? I've never heard of it before. I love your idea of using Costco flowers and making your own arrangement! I will definitely be making one for my Thanksgiving Table. What a great idea! SO beautiful. I love sunflowers. I'm hosting a GIVEAWAY on DIY Home Sweet Home. Would love you to check it out. Beautiful job on the flowers! Thanks for sharing your great tips at the Tuesday To Do Party! I love fresh flowers! Great tip and yours are beautiful!